The average home inspection will cost about $300, but it’s a requirement if you want a smooth home sale. Most home inspections will follow recommendations and required home renovations. Whether it’s an aging water heater or plumbing that isn’t up to code, these things could cost you if you don’t get an inspection. Remember, a home inspection is more than eye-balling everything to find things wrong. It’s an unbiased, critical look at specific parts of the home. You have to know what you’re looking for in order to find it. Everything may look good to you, but there are plenty of reasons why you’ll save nothing by skipping out on this real estate prerequisite. An independent report may state something like, “The water-radiator tank is too rusted, or the housing material is fragile and needs a replacement.” It might state that the issues require a follow-up by another certified and authorized inspector. When you don’t co-sign with what a home auditor has discovered, you can have your very own investigator come in to give a second report. Make sure to have an authorized Ohio home examiner do that. Family handymen or your helpful neighbor won’t matter much, legally, on these issues. You should work to isolate the checklist of issues referenced in the report from the main issues. Simple stuff like the entryway lock on the kid’s bedroom doesn’t work. The easy fixes you should consider DIY, everything else you can’t afford to cut corners. The report may make reference to machines or working parts in the house that may require renovating. Yet, what is essential is that the auditor has not discovered huge issues, i.e. rot, mold, decay in foundational pillars. By and large, little splits in a baseboard only indicate that there has been some settling. Nothing to stress too much about if you’re on a tight budget. You can add these things to your own checklist. In any case, when every one of the entryways in the home stick or leave gaps, or the door jambs are out of square, those could raise big, red flags. Another issue is that recent renovations may not make the grade regarding the construction standards or local codes. That is the reason it’s essential before beginning a major undertaking in your home to get licenses and warranties. When the work includes infrastructure like power, gas lines, or changes in water lines, including additions to the floor plans. What’s more, you need to utilize an authorized and qualified workforce, besides the company credentials. No temp labor with questionable employees who may or may not have legal protections. In the event that you don’t have the correct documentation on who took every necessary step, you might as well kiss those home renovation dollars goodbye. Even though code inspectors aren’t the same as home inspectors, and vice-versa. Eventually, the paperwork comes into question and someone who does know the current codes will catch you. The code is always changing, and some urban areas have unique codes that may not even make sense. Be that as it may, a report can discuss whether a few circumstances don’t meet general structure and security guidelines. It’s generally best to prioritize those renovations. Keep in mind, as the owner, you don’t need to fix anything other than things in the report. By and large, those are viewed as essential or foundational to live in the home comfortably and safely. These are the things you can expect a home inspector to include, no matter where you live in Ohio. Appliances aging or faulty installs are a common strike against homeowners. Sometimes connections go bad or weren’t installed properly in the first place. These pose hazards to surrounding structures and must get fixed. Insulation is the hidden scorecard that many homes will fail. You need to have a minimum of R8 insulation for Ohio attics. 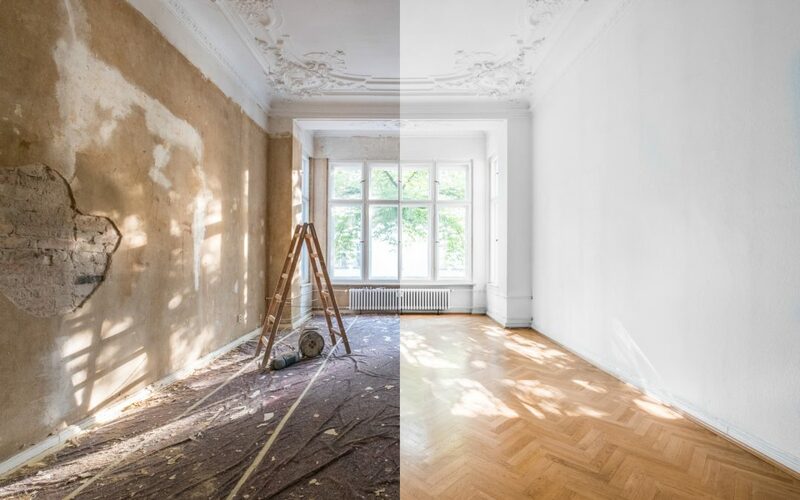 If the home is fairly old, you’ll most likely need a replacement. Another biggy is outdated, inadequate electrical outlets. GFIC outlets have to get installed near any water sources or places where heavy equipment is plugged in. The kitchen, bathroom, and garage areas should take priority. Any signs that a leak exists or has existed in the past will automatically get marked down. Inspectors do not like to see rings representing water damage. If you can’t guarantee that the roof is leak-proof, never try to paint over the evidence. Last, and most common reason for failed inspection is evidence of pests. We all have to deal with ants, bugs, and the occasional stray rodent. It’s a big problem if the inspector sees evidence of insect infestations, primarily carpenter or termites. You’ll need professional treatments done or say goodbye to your hopes of selling. As a rule, no house is ever impeccable–not a mansion or a humble cottage. The house investigator’s report isn’t simply a home renovations list for the purchaser. In the event that the examination turns up issues, most realtors and owners end up getting them fixed before escrow or by incorporating the last repayment of the deal to pay for the new rooftop or high-efficiency toilet. At the point when purchasers request fixes, think about closing the deal. Don’t take it as an attack or a way to take advantage of the seller. If you jump right to a denial of fixing anything, you’re going to burn that bridge. Don’t put yourself into a bad situation and earn a reputation for selling a faulty home. Word spreads fast around the local real estate community. Do things the right way by securing a professional independent home inspector. Schedule your inspection with us today.